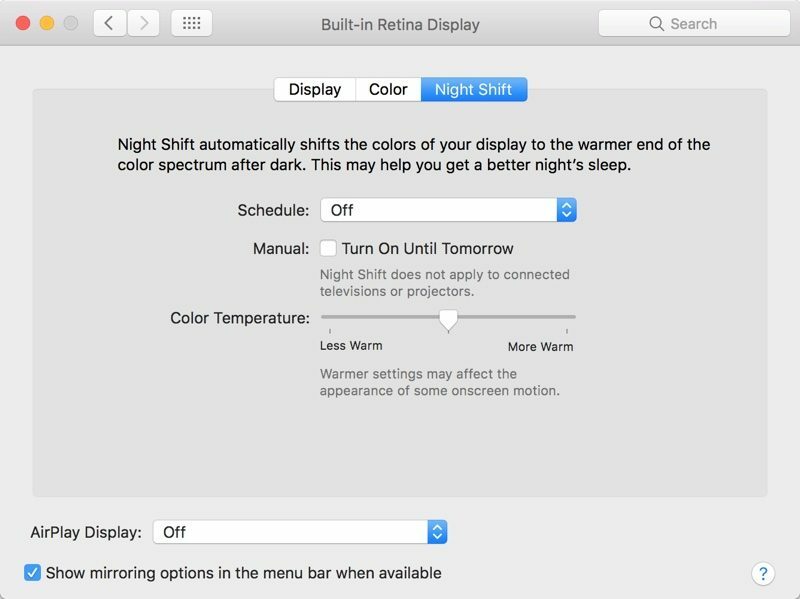 Preferences for Night Shift are available in the Displays section of System Preferences. In this section, users can schedule Night Shift to come on at sunset and turn off at sunrise or set a custom Night Shift schedule. There's also a manual toggle and an option to change the color temperature of the display. Night shift is really stupid. Thank you for that carefully thought out analysis. Flux was a bit too finicky for my taste, but I enjoy nightshift on the phone. I'm looking forward to trying this out. The article kind of glosses over this. In short, blue light has been shown to affect our sleeping patterns. The more blue light you're exposed to, the later and worse your quality of sleep. It's become a bigger issue these days with so many people using phones and tablets before bed. Night Shift automatically reduces the blue light emitted from your device at a certain time of the night. Yep. Use your iPhone/iPad/computer (f.lux for now) in nightshift/night mode. Get used to it for an hour or so. Then turn it off. The blasting, searing blue light is horrific. You will wonder how you went all this time without night shift. Does it affect the OLED bar too? I think I'll continue using flux. I like how I can disable flux when I'm in certain apps. Unable to exclude individual apps? Hmm. Flux has never really worked on full screen videos. Glad they're adding this feature. Thing is - f.lux lets you really crank up the orange - to the point it will cause artifacting in the white parts of TV shows (like the light panels in Star Trek: TNG will show up as a freaky pink). This is why Night Shift on the iPad and iPhone won't go too too low - Apple still wants everything to look good. 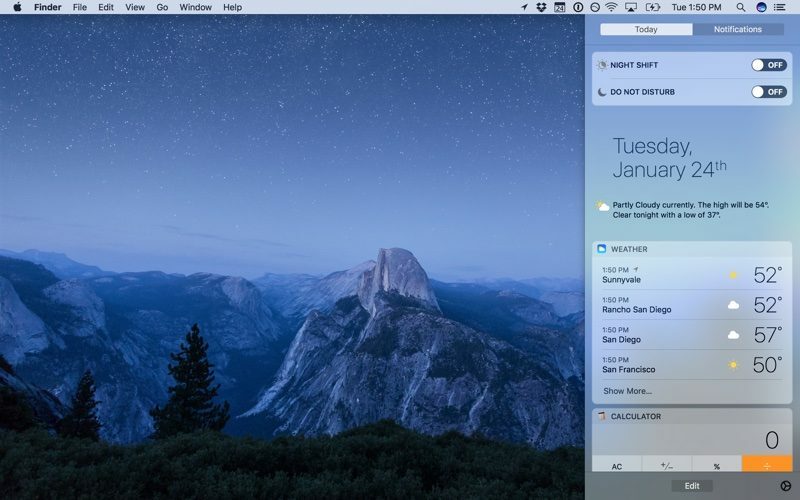 So I imagine Night Shift on the Mac will be the same - it'll help, but maybe not to the extreme that f.lux goes. I imagine that'll be fine for most people, but I might stick with f.lux for a while longer.